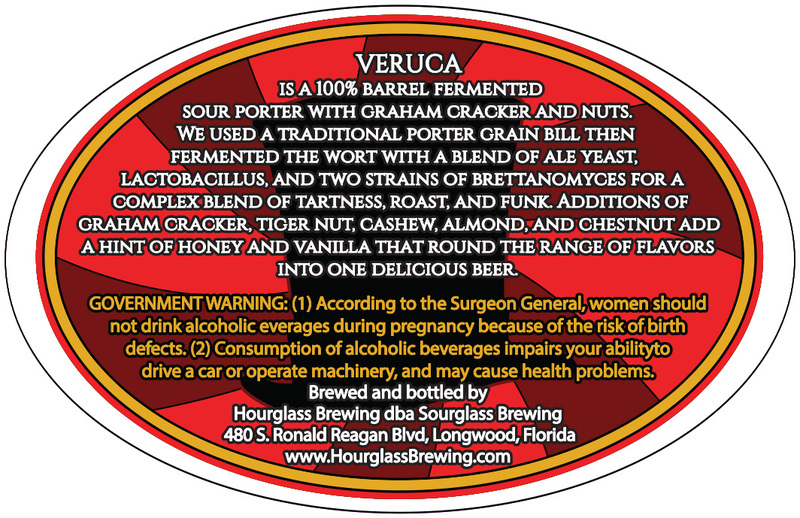 Front label for Veruca, a new beer by Hourglass Brewery. 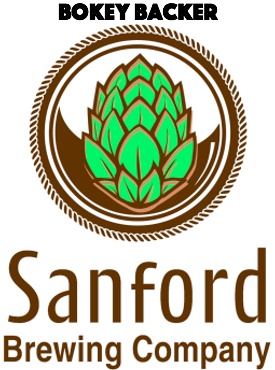 Things are busy at Longwood-based Hourglass Brewery. The brewery is preparing to launch “Veruca,” a sour nut porter, as part of the company’s newly opened sour beer production facility. At the same time the company is expanding its distribution into Georgia South Carolina. 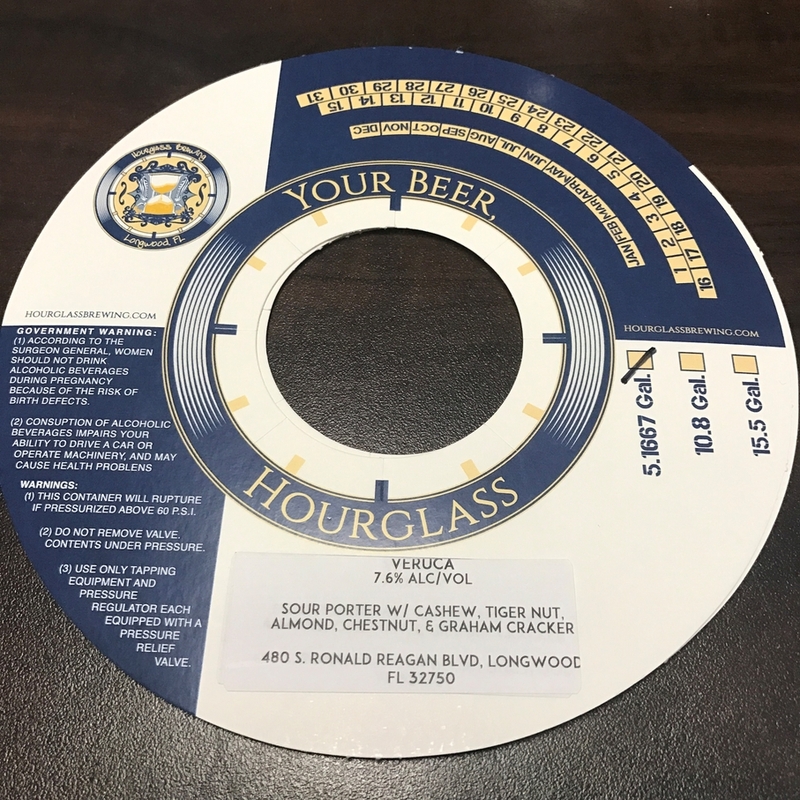 Until now, Hourglass beers were only available in Florida. Veruca is a barrel fermented sour nut porter with tiger nut, cashews, chestnuts, almonds and graham cracker. It is expected to be released to the public by early fall. 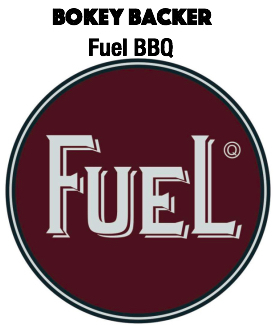 It will be available in both bottles and kegs, and is part of the brewery’s “Sourglass” line of beers.